The 2016 College Football season is less than two weeks away as Hawaii and California kick off on August 26th (if you are watching in the US) in Sydney, Australia. Below are five predictions for Pac-12 Conference for the 2016 season. Some predictions will be right, some predictions will be wrong, and some will be spectacularly awful (or correct) by the end of the season. There are no changes for the Pac-12 Conference as the twelve teams remain the same and are split into North and South Divisions. The six teams in the North Division are California, Oregon, Oregon State, Stanford, Washington, and Washington State. The six teams in the South Division are Arizona, Arizona State, Colorado, UCLA, USC, and Utah. 1. California and Oregon State will both miss a bowl game – California went 8-5 last year with Jared Goff throwing for 4,719 yards with 43 touchdowns and 13 interceptions. There was a lot of talent coming back in 2015 outside of Goff with eight starters on offense (put up 37.9 points and 529 yards per game) and nine on defense (gave up 30.7 points and 454 yards per game). That will change for 2016 as the offense has only four starters back while the defense has five. 2015 showed the best output on offense under Sonny Dykes and the best defense as well in his three years. It is hard to find six wins for Cal when they have to face both San Diego State (away) and Texas (home) in the non-conference schedule to go along with the nine conference games they will play. For Oregon State, they had a miserable season going 2-10 overall and 0-9 in Pac-12 play in Gary Andersen’s first season. The offense put up only 19 points and 337 yards per game while the defense gave up 37 points and 482 yards per game, the highest total in nearly three decades (1987). Even with seven starters back on offense and six back on defense (had just two in 2015) they have to face Minnesota on the road and Boise State at home out of conference. Oregon State will be better, but it will not be enough to get to a bowl game. 2. Colorado will make a bowl game – This one is going to be close. Colorado will be in the fourth year of Mike MacIntyre and he has struggled to rebuild this team going 10-27 overall with a 2-25 conference record. 2016 will be his most experienced squad with nine starters back on both offense and defense. The offense has stagnated with the highest total coming in 2014 at 28.5 points and 439 yards a game. Sefo Liufau is back for his fourth year at quarterback though he will be missing his top target in Nelson Spruce, who went to the NFL. The rest of the receivers are back including some new enrollees as is running back Phillip Lindsay (653 yards and 6 touchdowns in 2015). The defense is where the biggest improvements have been made. They went from allowing 39 points and 461 yards per game in 2014 to 27.5 points and 417 yards per game in 2015. There is even more room for improvement as the Buffaloes return those nine starters and will be in their second year under defensive coordinator Jim Leavitt. The defense allowed 199 yards rushing per contest, but can improve on that with the return of five starters as well as 2012 through 2014 mainstay Josh Tupou. The entire secondary returns after improving their passing yards allowed per game by 38 yards and could improve again in 2016. The schedule opens with Colorado State in Denver before a home game against Idaho State. They close their non-conference with a trip to Michigan before going on the road the next week to open Pac-12 play against Oregon. In total, they have four road games in-conference, which will help their chances. It will take wins against teams like Oregon State (home), Arizona State (home), Arizona (away), Washington State (home), and Utah (home) to get to six wins. They will need a few upsets to get to a bowl game, but Colorado can do it. 3. The duo of Christian McCaffrey and Royce Freeman will rush for a combined 4,000 yards – These two players had wonderful 2015 seasons. Christian McCaffrey ran for 2,019 yards and 8 touchdowns while also catching 45 passes for 645 yards and 5 touchdowns. We cannot forget his return abilities when he added in a combined 1,200 yards and two touchdowns. He was electrifying in 2015. Royce Freeman did not get the same hype as McCaffrey, but he too was exciting to watch. He ran for 1,836 yards and 17 touchdowns while adding in another 26 receptions for 348 yards and 2 touchdowns. What leads to this prediction is both Stanford and Oregon will have new quarterbacks. These two players were already likely to get a majority of the touches, but having new quarterbacks only makes it more likely for them to be relied upon. 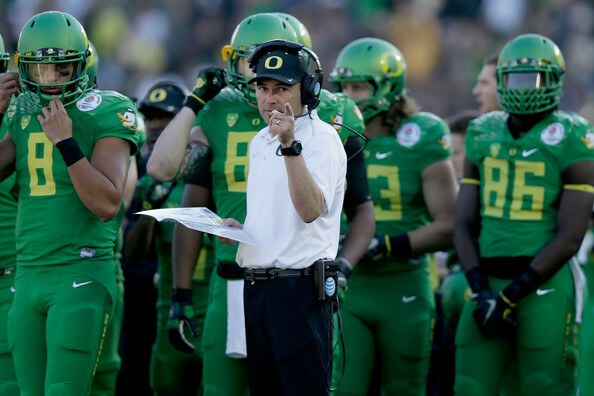 Even Oregon’s Mark Helfrich has made it known what his offensive game plan is for his quarterbacks. Sure the defenses will key in on these two, but these are guys are not easy to contain. 4. Washington will not win the Pac-12 – There is a lot of hype surrounding the Washington Huskies in 2016. Even ESPN wrote an article on the amount of hype the Huskies have around them this year. There is no doubt the Huskies have potential with 15 starters back (8 on offense and 7 on defense) including super sophomores Jake Browning at quarterback (2,955 yards with 16 touchdowns an 10 interceptions) and running back Myles Gaskin (1,302 yards and 14 touchdowns). The defense will be tough again in 2016 after allowing just 18.8 points and 452 yards per game last year. The Huskies have five Pac-12 games in 2016 against Arizona, Oregon, Utah, California, and Washington State, which are all teams that made bowl games in 2015. Arizona and Utah will not be easy, but are games that should be won by Washington. Their toughest two will be against Oregon (a team they have not beaten since 2003) and Washington State in the Apple Cup (the Huskies have won three in a row and six of the last seven games). They also face Stanford and USC at home this year, which will not be easy even at Husky Stadium. It feels like Washington is going to peak in 2017 rather than 2016. Even if the Huskies do win the Pac-12 North, they will have to defeat the South winner, which is likely to be UCLA or USC. 5. The Pac-12 will not make the College Football Playoffs – The Pac-12 conference schedule looks like it might cannibalize the conference and keep it out of the College Football Playoffs for the second straight year. Some teams even play a strong non-conference schedule that could provide more losses (or conversely impressive wins to factor in). Let’s take a look at all the contenders and their toughest games. Stanford – They face Kansas State at home and Notre Dame on the road in their non-conference schedule. In conference, they play USC and Washington State at home while taking on UCLA, Arizona, and Oregon on the road. Oregon – They face Nebraska on the road in non-conference while in Pac-12 they play Washington State, USC and Utah on the road. At home, they will play Washington and Stanford. Washington – Their toughest non-conference game is Rutgers at home the opening week in what should be a comfortable win. They face Stanford and USC at home while playing Arizona, Oregon, Utah, and Washington State on the road. UCLA – They face Texas A&M and BYU on the road as part of their non-conference schedule. In conference, they face Stanford, Arizona, Utah, and USC at home while taking on Washington State on the road. USC – They open with Alabama in Arlington, Texas and also face Notre Dame at home to end the season. In conference, they have to face Utah, Arizona, Washington and UCLA on the road and play Oregon at home. Utah – They face BYU at home as well as USC, Arizona, Washington, and Oregon at home in Pac-12 play. On the road, UCLA is their toughest opponent. Some teams definitely have a manageable schedule, but the Pac-12 will need a team with one loss (preferably none) and that loss better not come in the Pac-12 Championship Game. If it does, it could mean the Pac-12 is left out of the College Football Playoffs for the second straight year. With the Pac-12 predictions above, there are now predictions for nine conferences in the books. Below are the predictions completed and which conference is next. The Seattle Times is reporting that starting quarterback Cyler Miles will not play for Washington in 2015. It was reported earlier on Friday that Miles would only miss spring practices for personal reasons. Miles was made the starter for the 2014 season, but was suspended for the opener at Hawaii for his role in alleged assaults dating back to February 2, 2014. Miles started 12 of the 14 games for Washington in 2014. He went 219 of 329 passing for 2,397 yards with 17 touchdowns and 4 interceptions. He also ran for 307 yards and 4 touchdowns on 118 attempts. 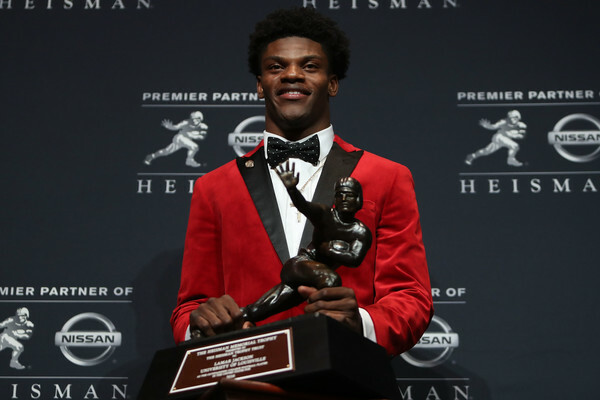 Miles would not be the first quarterback to leave the Huskies this offseason. Troy Williams transferred from the program in early January. There are three quarterbacks left on the roster for Washington. Freshman Jake Browning, redshirt freshman K.J. Carta-Samuels, and junior Jeff Lindquist will battle for the starting spot. Browning enrolled early at Washington in January to take part in spring practices. Carta-Samuels redshirted in 2014 while Lindquist is the only quarterback to have taken a snap in college. He started in place of Miles in the season opener at Hawaii going 10 of 26 for 162 yards and a touchdown in the 17-16 win over Hawaii. Lindquist would only throw four more attempts the rest of the season.